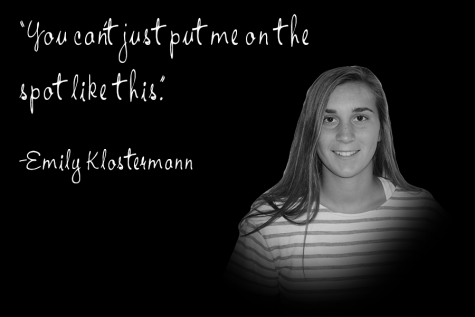 I am Emily Klostermann, and I am a senior. I am involved in softball, NHS, and FBLA. My favorite t.v. show is Grey's Anatomy and my favorite foods are ice cream and bacon cheeseburgers. My greatest fear is ketchup.